We apologize, this product is no longer available and was accidently activated by Groupon. This Ornament is no longer available. 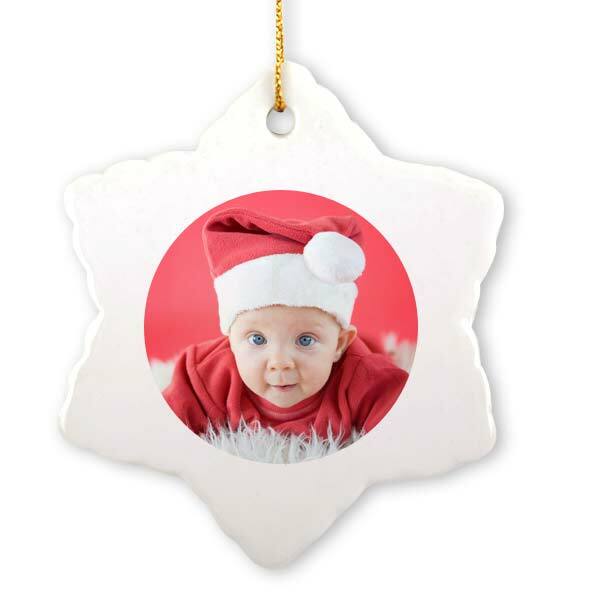 We are pleased to offer you this new ornament at no additional cost, just pay shipping! Your Groupon voucher will work for this new ornament upon checkout. Enjoy! Trim a tree with a fun, personalized Christmas ornament you create in a jiffy. MailPix’s snowflake ornaments measures 3″ from point-to-point. Photo measures 2″ in diameter. A loop of holiday thread makes this personalized Christmas ornament ready to hang. Makes a great gift for teachers, friends, and family.